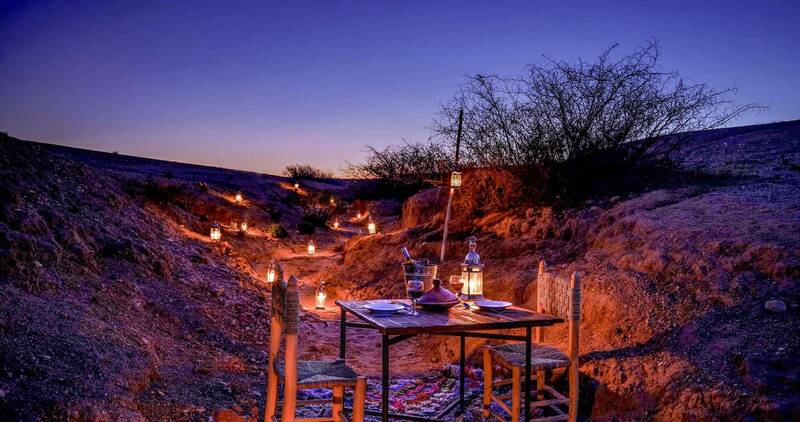 Situated in the Agafay desert west of Marrakech, “30 minutes from the international airport” Agafay Luxury Camp offers a relaxing natural experience in beautiful surroundings. The 18 luxury tents blend classic luxury, comfort and exceptional service to promise a “safari for the soul”. Literally untouched by development, the Agafay desert offers quite the contrast, from the hustle and bustle of Marrakech. Visiting the Agafay Desert luxury camp is a good option, if you would like to gaze at some stony desert, but don’t have the time to travel all the way south. romantic period style with modern comforts, such as Wi-Fi, electricity, multi-line telephone, wood stove, hot water, ….Refresh in the indoor/outdoor bathtub. Lounge on the private sundeck equipped with a daybed and two massage beds – with views of the surrounding mountains, dry rivers and ocean of stone dunes. Agafay Luxury Camp is on call around the clock to answer every request. 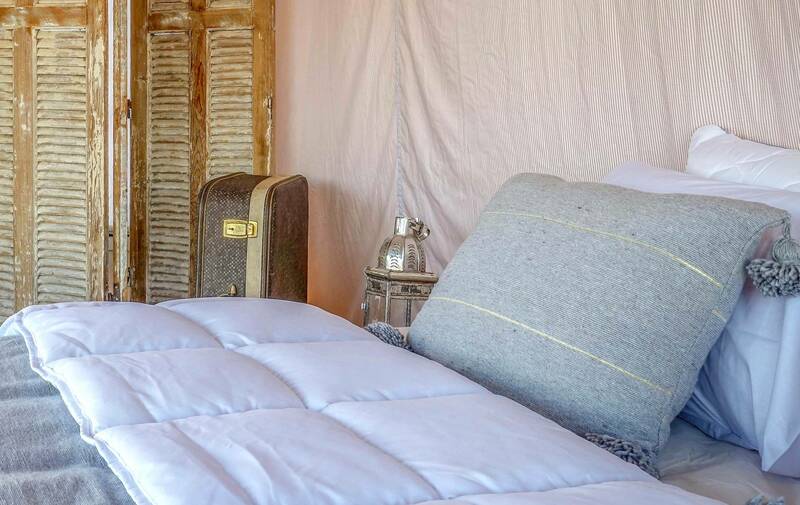 Live the experience of one night in one of our luxury tents. As a guest staying with us, you are systematically member of the “Privilege Club”, you benefit from advantageous rates, resaturant and activities. that you can book with your tent at the same time. and you also benefit from a discount go up to 20% with your promo code. We take an intimate, conscious approach to delivering unique travel experiences by offering an accommodation and a guest service experience in harmony with nature. our unique accommodations are fully-appointed and provide a unique a way to experience the great outdoors without sacrificing luxury amenities. We provide a myriad of dining options for our guests at our property, as well as friendly and personalized guest services prior to arrival, during the stay and even after departure. We provide our guests easy access to a variety of memorable activities and adventures during their stay that also connect them to our destination’s history, people and culture. 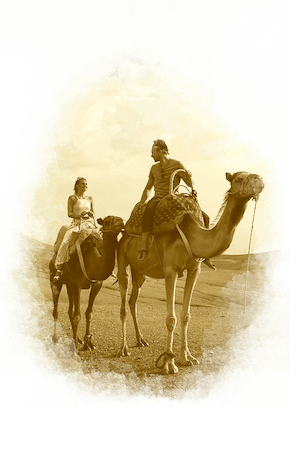 Marrakesh Camel Ride in Agafay Desert with Lunch, is one of the famous half day desert trips from Marrakesh. That let you explore the Agafay Desert, in very short time, and enjoy the Desert atmosphere, riding a Camel back during 2 hour. Embark on a full-day excursion to the foot of the Atlas Mountains, where you ride down trails featuring arid hills, oases, and rivers. 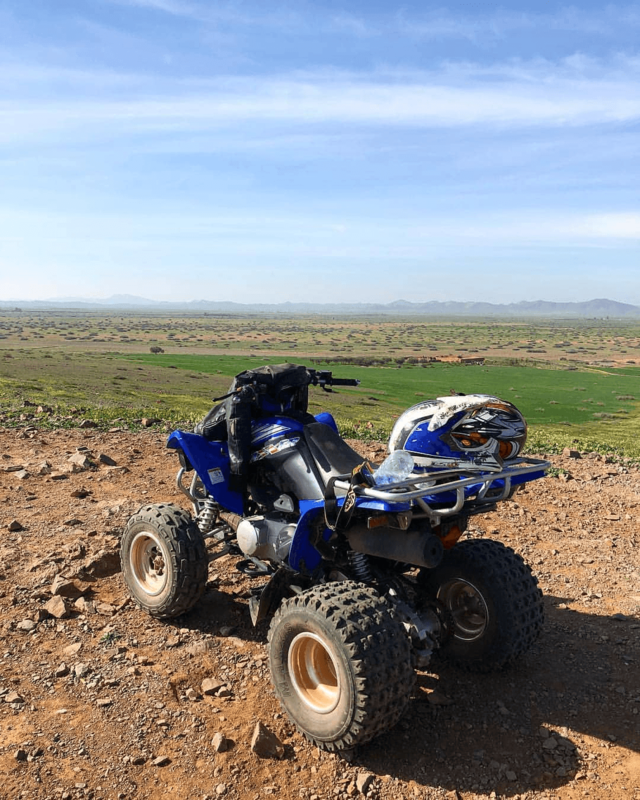 Your reliable ATV carries, you through lush hidden canyons to the Agafay Desert. You also have a delicious lunch with a hospitable host at a traditional Berber home. After being conveniently picked up from your Marrakech hotel, journey to the starting point at Lalla Takerkoust Lake which stretches for 4 miles ‘7 km’. Meet your experienced guide, and go through a thorough orientation to familiarize you with your vehicle and safety tips. Get equipped with goggles, hood, and helmet. Then hop on your ATV and set off on your adventure. You’ll travel from your hotel or riad in Marrakech, to Lalla Takerkoust Lake. Discover the beauty of this lake, that stretches for 7 kilometers. Ride through wonderful eucalyptus forests, and lush hidden canyons to the Agafay Desert. Discover ancient underground aqueducts, that once brought water and life to the city, a 16th century Koranic school, still inhabited by the descendants of the founder. 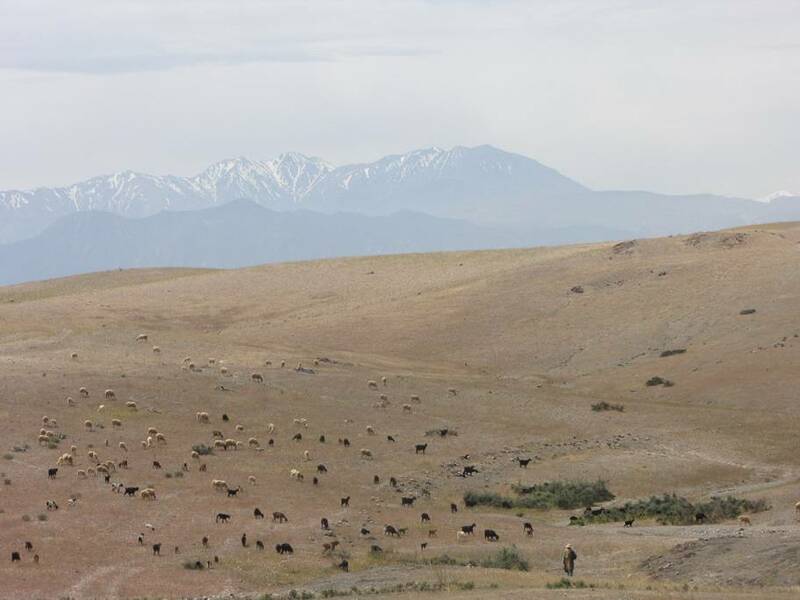 Remote tracks traversing the hilly desert, from oases to authentic berber villages. Top it off in style with a unique lunch, in a luxury desert camp overlooking the Atlas mountains. Six hours tour (9am to 3pm) to the Agafay Desert. Sidecar for one or two passengers. Lunch and site entrances included. Escape from the city, and experience the vast lunar landscapes of the Agafay desert, just outside Marrakech..
Popular Morocco tours include, a trip to Lake Takerkoust. ‘A man-made lake on the edge of the Agafay Desert, built in 1929, to provide the city of Marrakech and surrounding areas with electricity’. You can swim and sunbathe at one of the beaches alongside the lake, rent jet skis, or pedal boats and explore the waters. The hills above the lake offer many hiking, mountain biking and horseback riding trails.